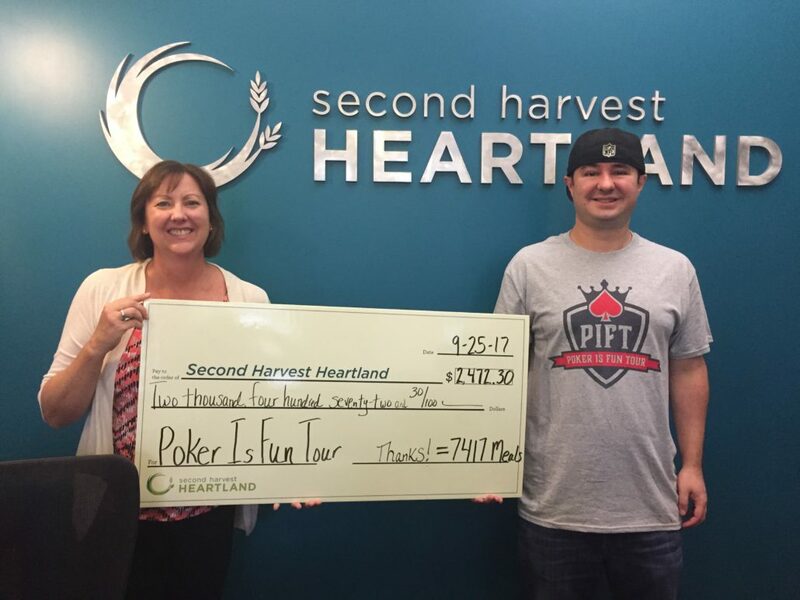 This afternoon, Second Harvest Heartland received all proceeds from our “Winners Shown” events at Canterbury Park on September 9 & 10. Awesome work everyone — a huge thanks once again to our players, and the generous businesses and individuals who helped us reach such a large number! Roughly $7 worth of food and groceries can get distributed for every dollar Second Harvest Heartland receives, which when looked at that way, means we did over $17,000 worth of good. Second Harvest Heartland can provide 3 meals for every dollar received, so we’re on the hook for helping to provide 7,416 meals to people who are in need. Tremendous!